Most fishermen are true believers when it comes to fly pattern. In fact, the power of fly pattern is practically a given: tie on the right fly and you’ll catch fish. Not catching anything? You obviously don’t have the right fly. But considering the myriad of factors involved, the premise that fly pattern alone determines success is suspect. Never more so than when it comes to grasshoppers. Ah, yes, hoppers. Favorites among anglers, those, what with their unlimited shapes, sizes, and colors. They appeal equally to our inner shopper and our sense of hope. What fly tier hasn’t spent hours working up his own hopper, dreaming all the while of big fish sure to be caught? If only we can see our way to buying or tying the right pattern, no trout anywhere are safe. Not to rain on anyone’s parade, but it doesn’t really work that way. I think the hopper we choose is irrelevant. Here’s why. Assume we’re hopper fishing on a river like the Madison. Assume also that our preoccupation with watching our hopper drift on the surface leaves us unaware of what’s taking place beneath the surface. Say that we catch some fish. Enough fish so that we’re confident the hopper we used was the right one—a killer, indeed. At the end of the day, we proclaim to anyone who will listen that our hopper was the must-have fly, the hot fly. But what if we knew that for every fish that took our fly, three others refused it? We might not feel so confident. Personally, I’d be questioning my choice of fly. Yet this is what happens in hopper fishing—refusals are inevitable. They’re an everyday, run-of-the-mill occurrence, and always outnumber takes. Why am I so sure of this? Because it’s what forty-plus years of sight-fishing has taught me. (I offer this not by way of braggadocio, but merely to point out that, as Yogi Berra so famously remarked, you can observe a lot by watching.) Observing underwater events—a necessary part of sight-fishing—inevitably affects the conclusions we draw regarding flies. My experience shows that for every take on a hopper, you can expect as many as three or four refusals. I like to think that most of us, knowing this, would quickly lose any enthusiasm we had for a particular pattern. I certainly have. When we fail to see refusals, the conclusions we make regarding our fly arise only from the fish that actually take it. But evaluating the effectiveness of a hopper by the absolute number of fish caught on it misses the point. It’s really about the proportion of fish that take versus those that merely look. (It’s not my intention to slight any degree of success. Catching fish is still the point, regardless of how many refusals we might incur in the process. I’m just saying that whether you’ve caught two fish or twenty-two, a particular hopper isn’t responsible.) Indeed, since a trout can take only the fly tied on our line, belief in that fly as the limiting factor becomes a self-fulfilling prophecy. Only when we’re aware of the refusals as well as the takes can we begin to judge fly pattern fairly. Which is why I have long considered all hopper patterns to be equal. They all work; they all fail. Of greater interest, however, is why this should be so. One explanation may lie with real hoppers themselves. They’re good sized insects, and brown and rainbow trout are inherently cautious of large, floating food items (think stoneflies here as well as hoppers). Refusals to the real McCoy are common. Seldom are they taken with abandon. (I’ve said for years—only half jokingly—that trout actually hate salmonflies. Give a trout a choice between a salmonfly and a smaller food item like a caddisfly and they’ll almost always take the smaller fly.) 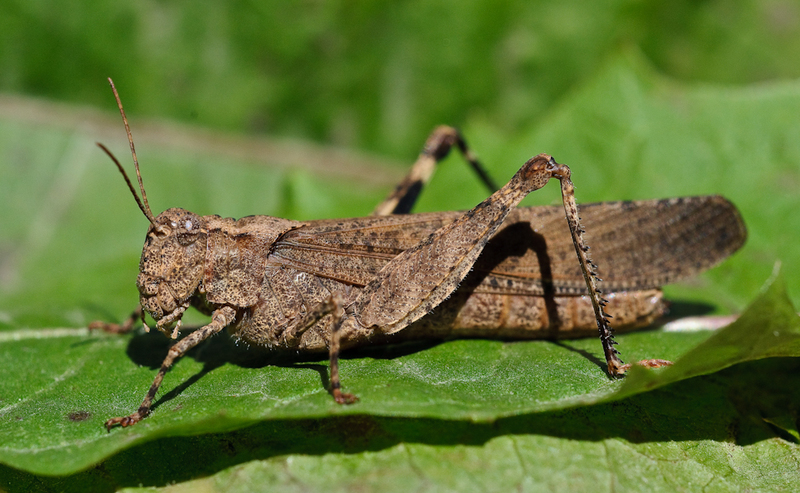 Certainly there are times when trout do feed avidly on stoneflies and hoppers, but those are more the exception than the rule. All of which reinforces the notion that success is dictated by something other than pattern. Cutthroat are the one species of trout that have an innate attraction to large floating objects, which, interestingly, again results in fly pattern being immaterial, but from a completely different perspective. 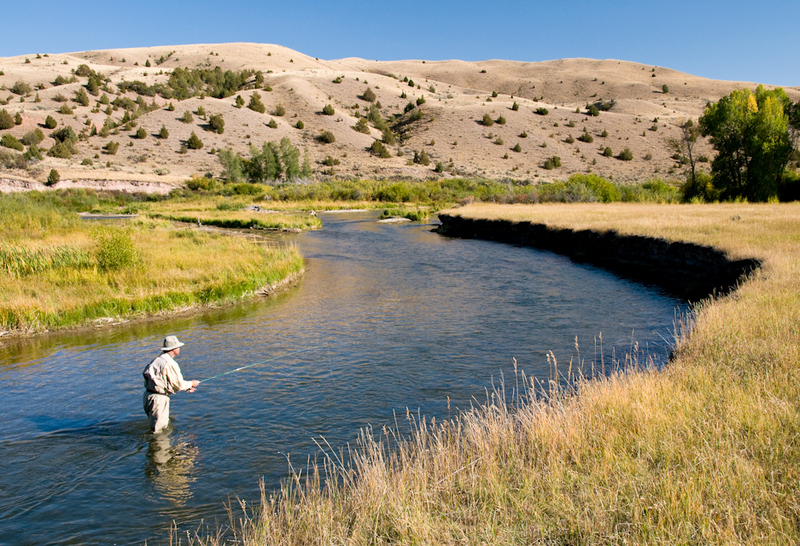 Another observation: After guiding on the Madison River myself, and spending even more time listening to other guides and anglers, it appears that when hopper fishing is good, it’s good for everyone. And when it’s bad, it’s bad for everyone. Since hundreds of anglers a day are fishing the river—all while employing a wide range of hoppers—the fact that their experiences are so similar is, to me, telling. Admittedly, there is a bit of conjecture in this good-for-all, bad-for-all assertion, but you’d be surprised at how often it plays out this way. Not just on the Madison, either. Now, what about angling ability? If fly pattern controls our success, then any variation in skill levels among anglers should be a moot point. An average angler fishing a truly “magic” hopper should out-fish an expert using a different one. A rank beginner should catch more fish than someone of middling ability. But this doesn’t happen. Ever. What happens is that, over the course of a day, fish are caught in direct proportion to an angler’s ability. Always. It’s often thought that fishing pressure plays a part in the productivity of fly patterns. The argument goes that hard-fished trout, having been caught and released a number of times, learn to avoid certain flies. If true, this would make our choice of fly critical; our success would depend on it. While I think that such a scenario is possible, I don’t think it happens with hoppers. That’s because, as I noted earlier, hopper success ebbs and flows on too broad a scale. The factors that cause trout to react to hoppers in certain ways seem to operate on a population of fish, rather than on individuals. If we accept the premise that pattern doesn’t matter, what then? Should we simply pick a favorite hopper and fish it exclusively? That’s one approach, but I can think of several reasons why it might not be the best. For starters, carrying a variety of hoppers allows us to change patterns when the fishing is slow. While this won’t matter to the fish, it will definitely matter to us. Our interest gets reignited. We fish with renewed focus. Our casting has purpose again. Our presentations improve. As a result, we often catch a fish. Catching a fish right after a fly change may be viewed by some as a direct repudiation of my premise. But I contend that it’s not a new fly that catches that fish, but rather a better presentation facilitated by a renewed focus. We can never know for sure, but the weight of evidence in my experience suggests that the act of changing flies is what counts, not what fly we change to. Carrying different kinds of hoppers also helps when visibility is an issue. That is, visibility of our flies to us, not to the fish (they don’t need any help). As water and light conditions change, certain hopper patterns are easier to see than others. If we can see our fly on the water, our presentations almost always improve. Which usually leads to more fish caught. 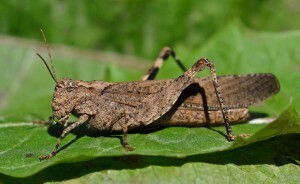 Owing to basic human nature, carrying a variety of hoppers also provides the psychological comfort of choice. Who among us doesn’t enjoy having choices in their lives? Hoppers should be no exception. So feel free to tie, buy, carry and use all the hoppers you like. Just don’t try to convince me that one is any better than another—at least when it comes to catching fish.